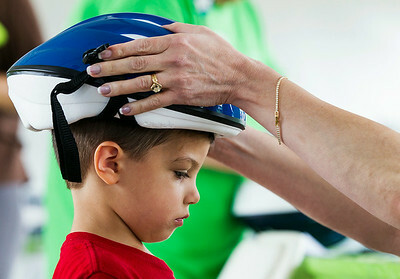 Kyle Grillot - kgrillot@shawmedia.com Roman Lentine, 3, of Huntley is fitted with a free bicycle helmet during the community beam raising event at Centegra Hospital-Huntley Saturday, July, 12, 2014. 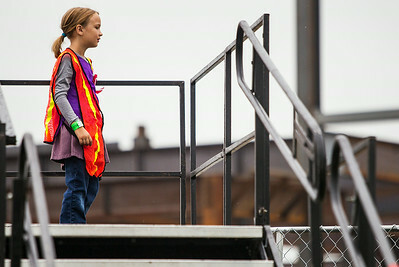 The event, which was done in conjunction with the Centegra's annual Family Health Fest, drew hundreds of community members, local leaders, donors, politicians and hospital administrators. 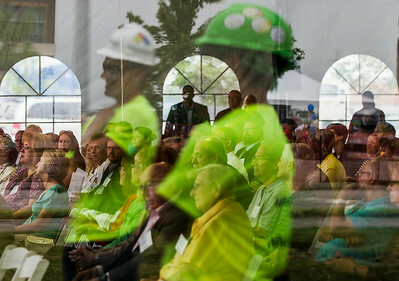 The hospital is slated to be completed in 2016, by the end of the summer. 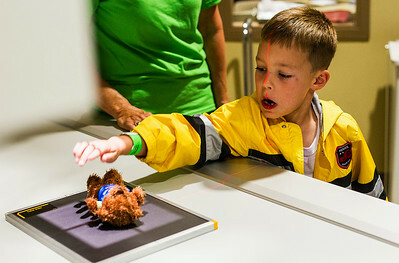 Kyle Grillot - kgrillot@shawmedia.com Will Davis, 6, of Hampshire places a teddy bear onto an x-ray during the community beam raising event at Centegra Hospital-Huntley Saturday, July, 12, 2014. The event, which was done in conjunction with the Centegra's annual Family Health Fest, drew hundreds of community members, local leaders, donors, politicians and hospital administrators. The hospital is slated to be completed in 2016, by the end of the summer. 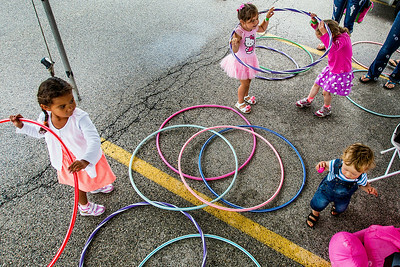 Kyle Grillot - kgrillot@shawmedia.com Nevaeh Logan, 4 (from left), Samantha Kay, 3, Dasha Kozlova, ,4 and Sean Kay, 1, play with hoops while Dave Rudolf plays live music during the community beam raising event at Centegra Hospital-Huntley Saturday, July, 12, 2014. The event, which was done in conjunction with the Centegra's annual Family Health Fest, drew hundreds of community members, local leaders, donors, politicians and hospital administrators. The hospital is slated to be completed in 2016, by the end of the summer. 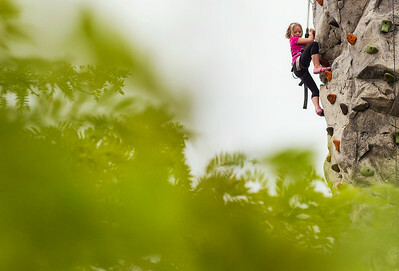 Kyle Grillot - kgrillot@shawmedia.com Abby Ressler, 5, of Huntley ascends a rock climbing wall during the community beam raising event at Centegra Hospital-Huntley Saturday, July, 12, 2014. 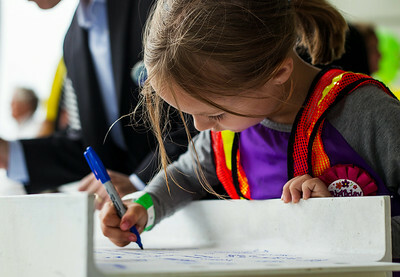 The event, which was done in conjunction with the Centegra's annual Family Health Fest, drew hundreds of community members, local leaders, donors, politicians and hospital administrators. 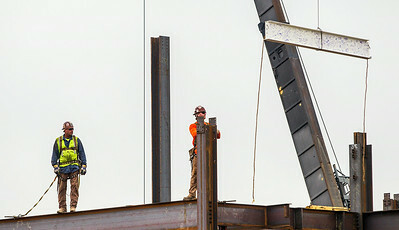 The hospital is slated to be completed in 2016, by the end of the summer.